As the new year approaches, the weather in Scottsdale becomes even more gorgeous with temperatures in the high 60s and low 70s. Across the country, people huddle inside, but in Scottsdale, everyone breaks out their golf clubs. 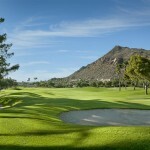 Scottsdale residents are very fortunate for the wonderful weather, luxury homes and world-class golf courses. Golfers across the Valley celebrate as one of the most renowned courses in Scottsdale, the Stadium Course at TPC Scottsdale, reopens today after extensive renovations to make the course even more spectacular. TPC Scottsdale is not your average golf course. 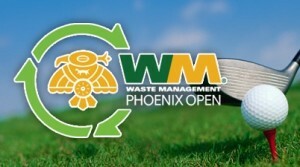 It is home to the Waste Management Phoenix Open. 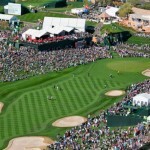 Every year, half a million people gather at the course to watch the pros compete at “The Greatest Show on Grass”. 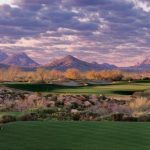 The best part about TPC Scottsdale is that it is a public course, so after the Phoenix Open is over, golfers can follow in the footsteps of the pros and play at the exact same course. The Waste Management Phoenix Open will take place at TPC Scottsdale from January 26th-February 1st, 2015. Experience a golf event to remember with $30 single day tickets! A weekly sponsor package is $350 and includes four weeklong admission tickets, one reserved parking spot for the week and a Waste Management Phoenix Open souvenir program. The Waste Management Phoenix Open isn’t the only event happening near 82nd St and Bell Rd that weekend. The Coors Light Birds Nest concert series will be January 28th- January 31st in the evenings. Some artists include Kid Rock, Darius Rucker, and Capital Cities. (More artists will be announced in December.) The concerts are for ages 21+. Tickets are on sale now and start at $35. Experiencing Scottsdale by watching and playing golf and enjoying outdoor concerts are just two of the many perks of living in this picturesque city. If you would like to see any golf homes near TPC Scottsdale, call me at (602)791-0536 or email Carmen@TopScottsdaleHomes.com and we can schedule a showing. 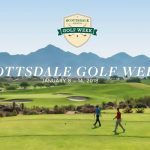 Scottsdale Golf Week Coming Soon!